My Wey of Life: Happy Birthday! 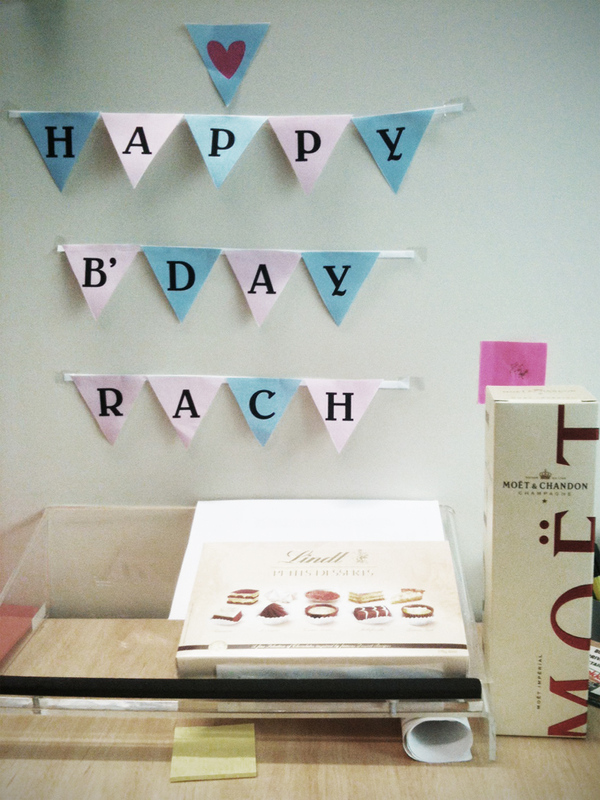 It's my workmate, Rach's birthday! Create it on a A3 size from Adobe, print it out, cut it out (with Judy's help! hehe) and stick it on to a strip of paper that I have cut out before, then onto the wall at her desk, accompany with gifts!!! All in a rush! Have a wonderful birthday girl! Yo! Test on our creative juice..